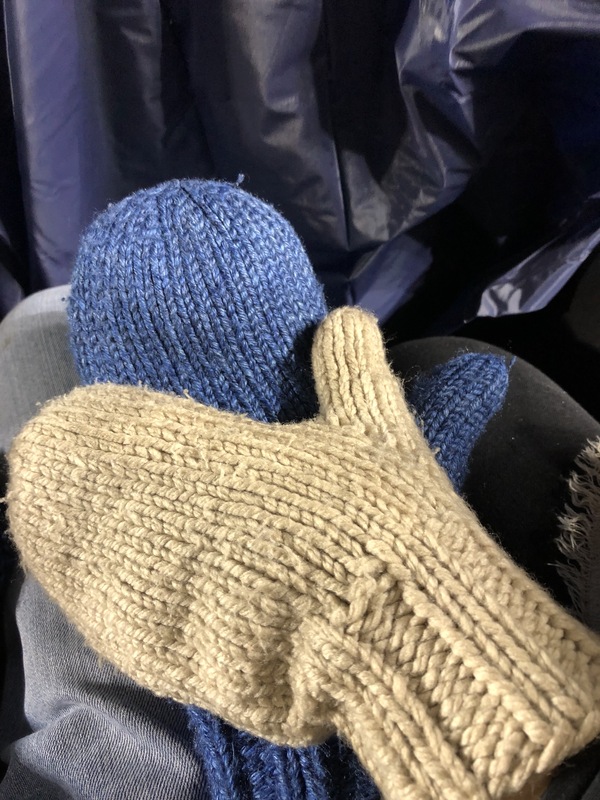 I haven’t knit any mittens in quite a while, but I’m feeling motivated to knit some again after receiving these photos last night. I made these for Daughter #3 and my new SIL a couple years ago. 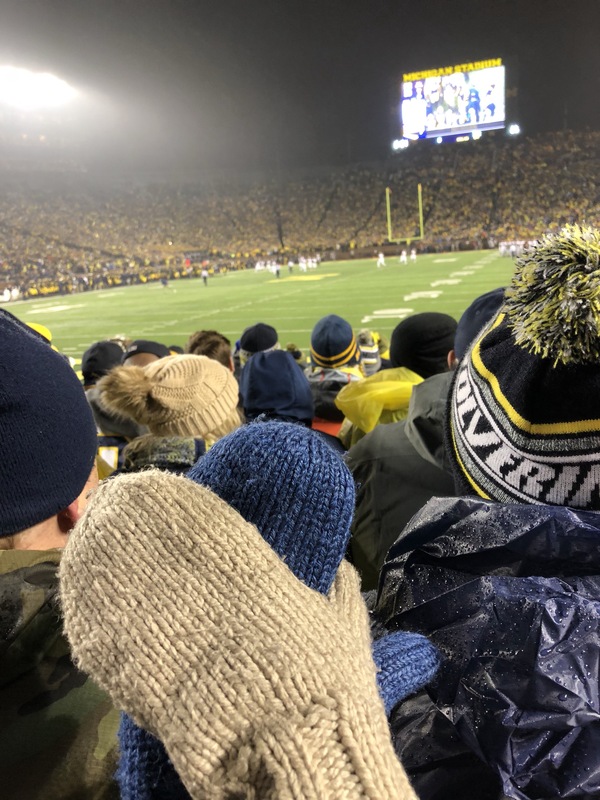 They were wearing them to keep warm at the U of M football game. It is such a wonderful feeling to know that people appreciate and use the things you make for them. 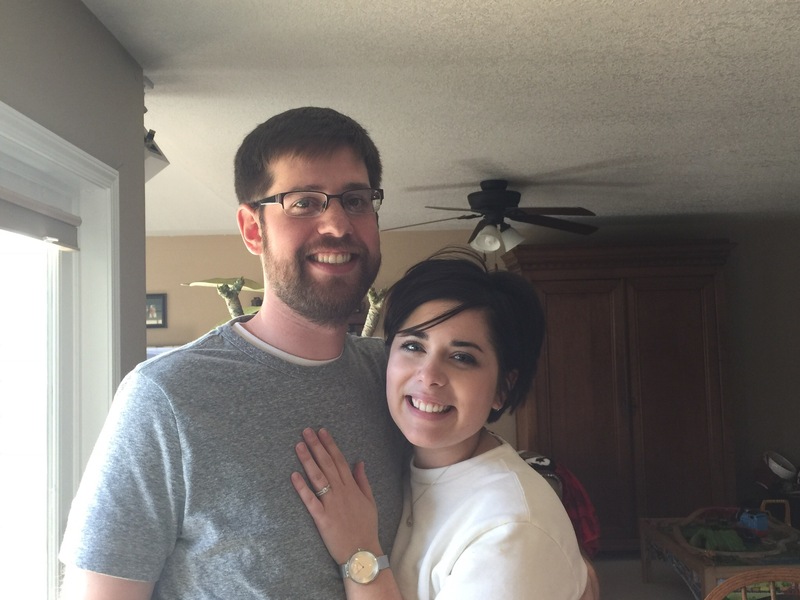 Here’s a recent photo of the newlyweds. Aren’t they adorable? I think I need to make some mittens for my grandsons now. Time to dig out those needles! Isn’t it nice to see her settled into her own home and making such a nice life? Love pics of the game! Football is my favorite sport. I wish I could knit. I like blue and cream colored mittens. Although mine would be scarlet & gray. I enjoy your blog. But you are right…it’s time knit. A beautiful young couple, too. Ce couple est magnifique. Il respire le bonheur.